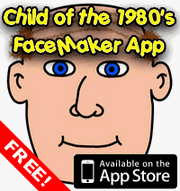 The decade that was the 1980’s can lay claim to many distinctive bands in both musical and visual style, unlike many of todays indentikit groups. 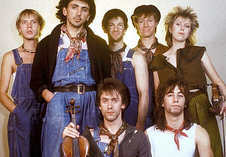 Â One such band that had a string of hits during the early part of the decade were Dexys Midnight Runners. The band was formed in 1978 by Kevin Rowland and Kevin Archer and took its name from a drug called Dexedrine, a brand of dextroamphetamine (try saying that three times fast) which gave you a massive boost of energy that allowed you to dance all night (where the Midnight Runners part of the name came from). Dexys had a unique fashion style, which is often referred to as being taken from Romany Gypsies. Â Red spotted neckerchiefs and denim dungarees with no shirt underneath were the order of the day, which coupled with the unruly mop of hair sported by Rowland made the band look, dare I say it, a little tramp like. The bands first song was released in 1979 and was called Dance Stance. Â It only managed to reach number 40 in the UK charts but their next song, Geno, shot to number one when it came out in April 1980. Â The song was a homage to Geno Washington, an American R&B singer. Not happy with their share of the records profits, the band cunningly stole the master tapes to their first album, Searching for the Young Soul Rebels, in order to negotatiate a better deal. Â This paid off as the album performed well and the bands next single There, There, My Dear was also a hit. Â At this point Rowland insisted on releasing a song entitled Keep It Part Two (Inferiority Part One) as their next release. Â The song bombed and this led to many of the band members departing, citing differences with Rowland as their reason for leaving. Undeterred Rowland sought new band members, bringing on board violin players Helen O’Hara, Steve Brennan and Roger MacDuff, who were together referred to as “The Emerald Express”. Â The band took on a more celtic influence with the new members, which led to the catchy Too-Rye-Ay and ultimately second UK number one Come On Eileen, probably the song most people will remember the band for. Â The latter song also hit the top of the charts in the US, but this was the bands only real success in America, and so they are often thought of as a one-hit wonder over there. Dexys enjoyed further success with a cover of a Van Morrison song, Jackie Wilson Said (I’m In Heaven When You Smile). Â Must admit I never realised the song title had the bracketed part to it! Â The song was of course a homage to another US R&B singer, Jackie Wilson, inspired by a line from his song Reet Petite. Â However, when Dexys Midnight Runners performed it on Top of the Pops some wag decided it would be a good idea to project a picture of Scottish Darts playing Legend Jocky Wilson on a screen behind the band instead. Â Opinion is split on whether this was deliberate or a mistake (I’m guessing it was more on the deliberate side) but its one of those facts that you simply don’t believe until you see it for yourself. Â If you don’t believe me, then check out the clip at the bottom of this post. Before I finish though, there is one more Dexys hit that deserves a mention. Â This is Because Of You, a slightly softer song for the band which was used as the theme tune to the 1986 BBC sitcom Brush Strokes that starred Karl Howman as Jacko, a lady’s man house painter. Â This was the bands final hit before they disbanded, although the band has reformed a number of times including for a UK tour in 2003. This entry is filed under Music - Artists	and was posted on January 12th, 2009. You can follow any responses to this entry through the RSS 2.0 feed. You can leave a response, or trackback from your own site. I had no idea that Dexy’s Midnight Runners were anything more than just a one-hit wonder! That’s the way they’re always portrayed in the North American media–hence the reference in ‘The Simpsons’. Are there other UK artists who come to mind who don’t deserve the US one-hit-wonder label, because they’ve done well enough back home? I know that this often happens to Canadians.